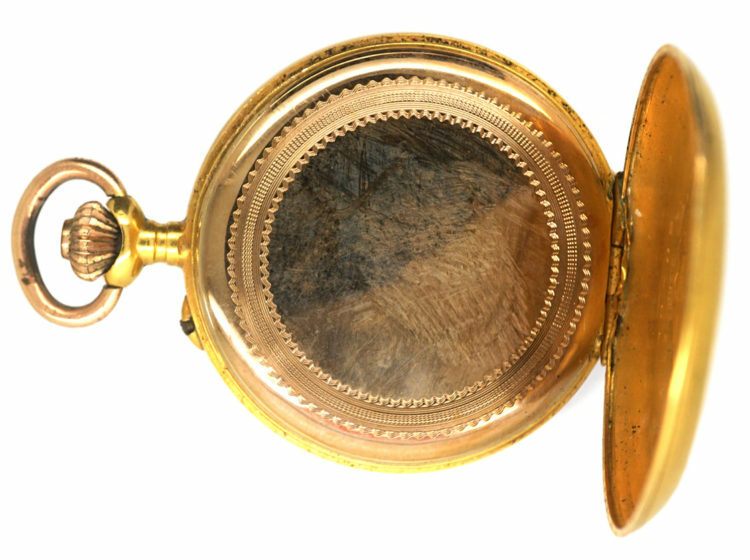 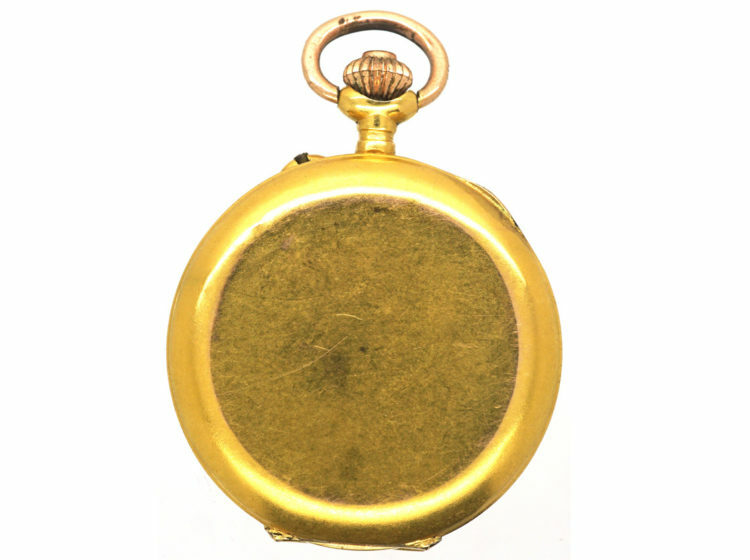 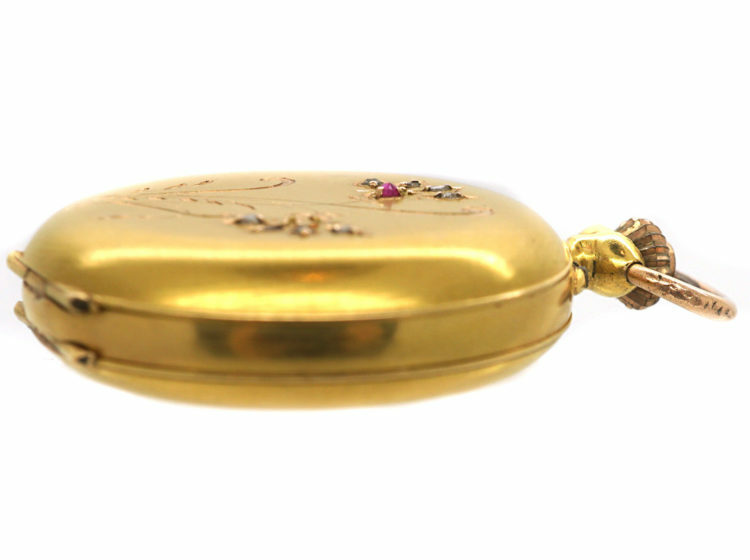 An interesting 18ct gold Hunter watch, so called because it is covered on both sides and the dial is only revealed when one side is opened. 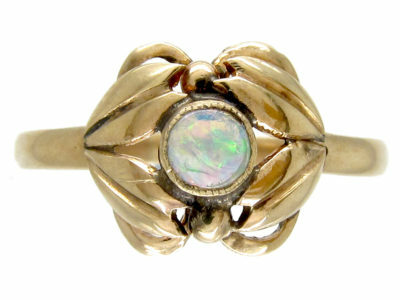 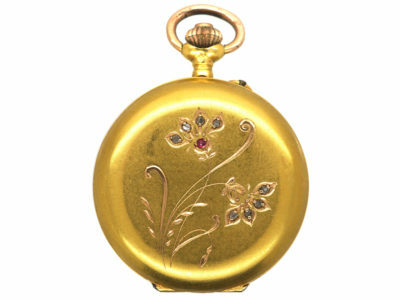 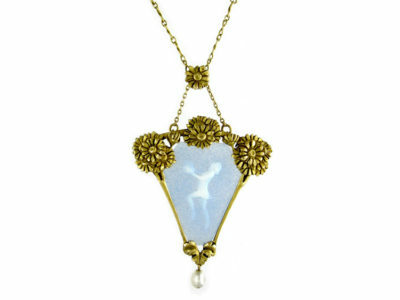 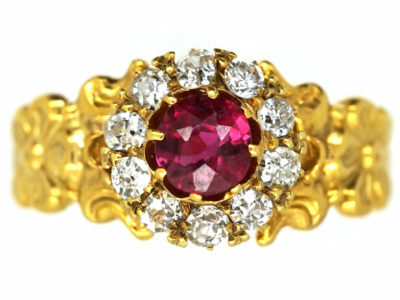 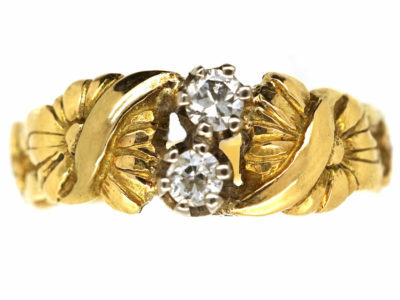 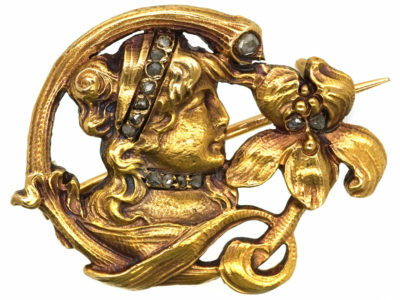 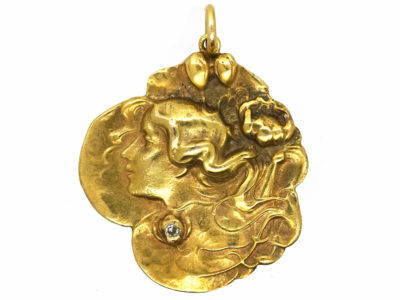 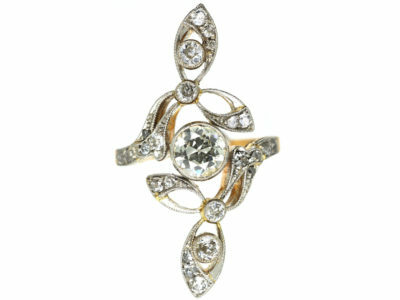 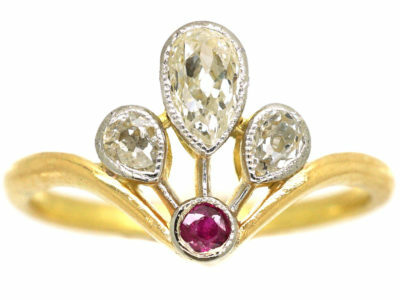 It was made in Switzerland circa 1900-1910 and has two flowers on the front set with rose diamonds and a ruby. 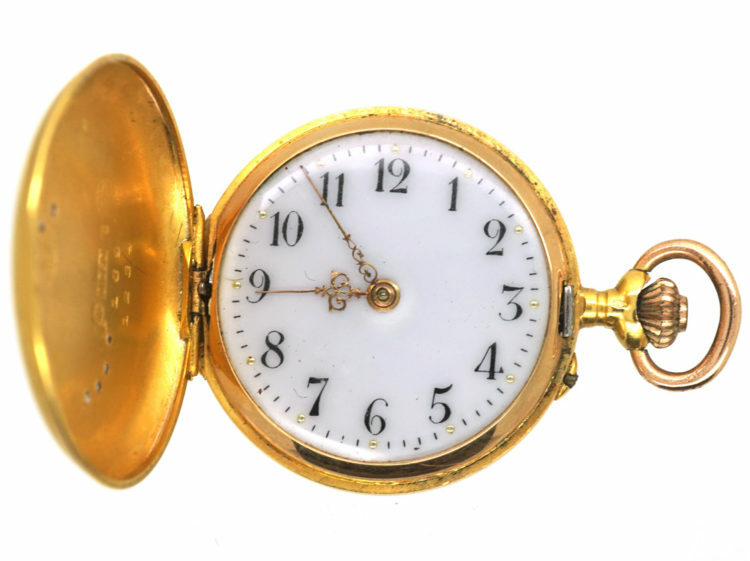 Inside the dial has black numerals and fine gold hands. 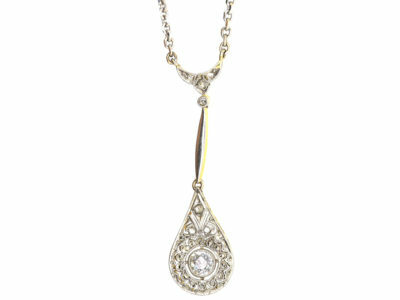 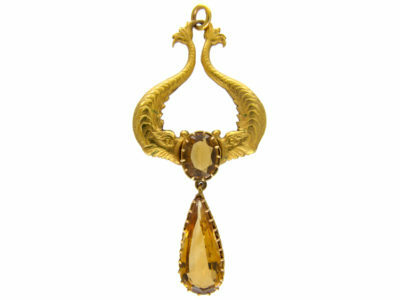 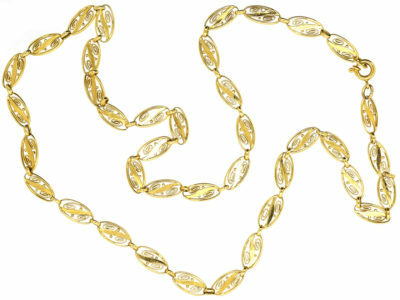 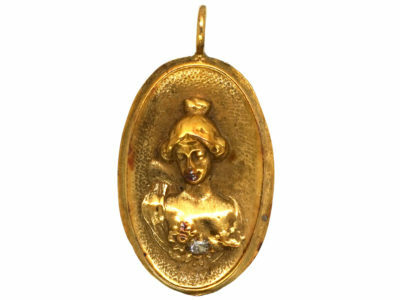 It is a well made and decorative piece of jewellery to wear on a chain.